On the occasion of National Education Day, Bollywood actor Emraan Hashmi shared the first teaser of his forthcoming film Cheat India. On the occasion of National Education Day, Bollywood actor Emraan Hashmi shared the first teaser of his forthcoming film Cheat India. The film focuses on the prevailing education system in the country. On 11 November, the Jannat actor took to Twitter to unveil the teaser of the film. “A country’s education system is its backbone. Team ‘Cheat India’ celebrates #Nationaleducationday. #CheatIndia #NakalMeinHiAkalHai @tseries.official @emraanhashmifilms @ellipsisentertainment,” he wrote along with the video clip. Emraan’s maiden production project landed in a controversy previously when filmmaker-actor Dinesh Gautam and Imran Zahid claimed the storyline of the film was copied from their movie titled Marksheet. 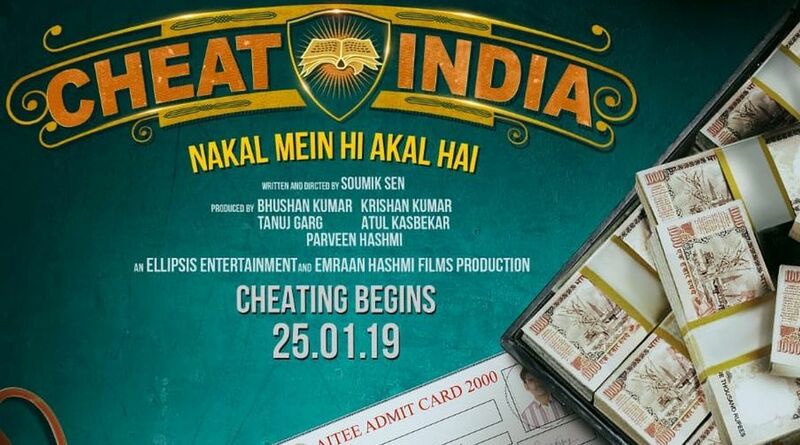 Directed by Soumik Sen, Cheat India, starring Shreya Dhanwanthary alongside Emraan Hashmi, is scheduled to release on January 25, 2019.